Spring is always near when I find myself using a lot of lemon in the kitchen. Anything yellow or lemon-shaped catches my eye. Any recipe that has lemon on the ingredients list looks very appealing to me. I figure the freshness and zyng speaks to me. Or maybe it's just the New Year that has really kick-started for me this year. I am full of energy, plans, dreams, projects. About a year ago, I baked some really nice Lemon Zucchini Muffins. They were so good that I even took pictures of them. I stacked them away into my recipe drafts archive, to be used on rainy days. For some reason I never go to post the recipe. When I dug it out again a couple of weeks ago, I wanted to make them gluten free, as the original recipe used whole wheat or spelt flour. You may have noticed that I am not big into the traditional GF flour mixes. Most of the flours used have a very high glycemic index which I prefer not to have in my diet. 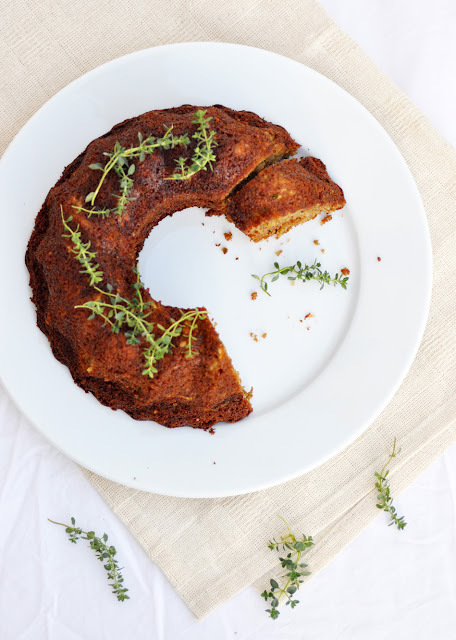 I got stuck with buckwheat flour and almond meal and had a few baking successes with them. I played around a bit with the proportions of buckwheat flour and almond meal and found a 50:50 proportion brought the moistest result. The only difference to glutenous flours is that the GF-free version doesn't rise as much. Therefore the change from muffins to bundt cake. 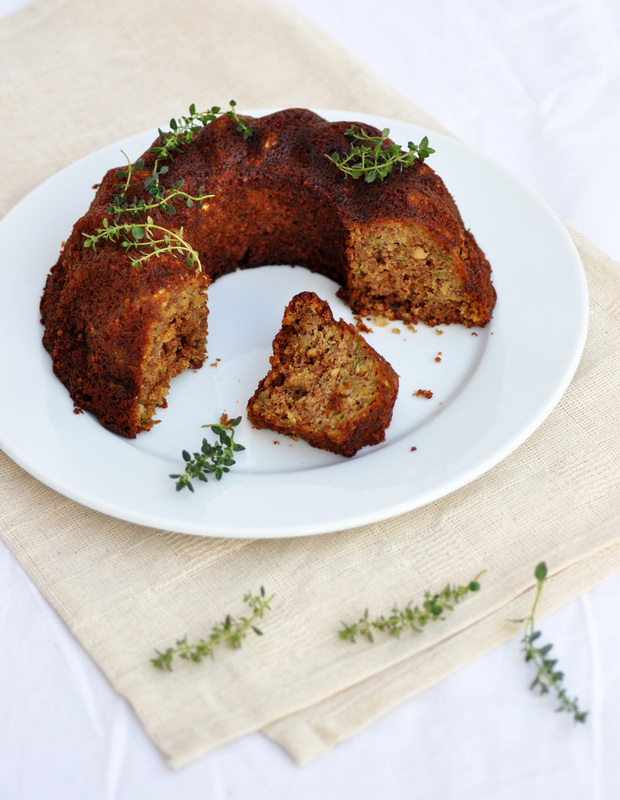 Now here is the final result, finally published and shared with the world: my gluten-free lemon zucchini bundt cake. Full of goodness and with that invigorating zyng of the lemons. Preheat oven to 180C (350F). Grease bundt tin. In a medium bowl, lightly beat the egg. Whisk in honey, oil, lemon juice and lemon zest. Set aside. In another bowl, sift together flour, almond meal, salt and baking soda. Add wet to dry ingredients until just combined. Fold in grated zucchini and lemon thyme leaves. Fill batter into prepared bundt tin Bake for 35-40 minutes or until tester comes out clean. Let cool completely.